This new school year definitely got off to a crazy start! With Jackson in a real class now at Young 5’s which includes homework and activities, and our attempts to try more fall sports, our schedule quickly filled up. The one thing that getting back to school (for both boys) has allowed us to do is to establish a really good routine. We’re big creatures of habit around here, so we like to have a good after school routine that leads us all the way to bedtime. That routine has actually been one of our secrets as to why we think both of our boys are very good sleepers, and we do our best to be super consistent all the time, because it really seems to be working. 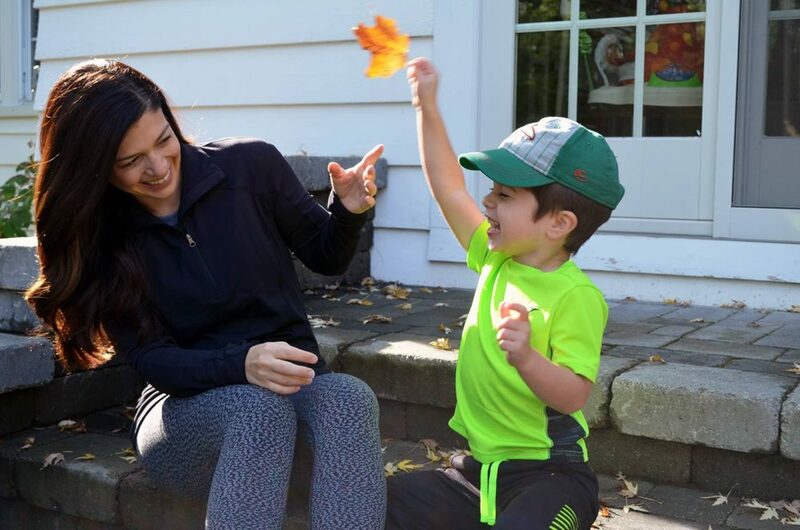 When Jackson gets home from school, the first thing on his mind is “SNACK!” It’s a seriously well-established part of the evening routine and not changing anytime soon. So, we want something that’s going to be quick and easy, but also with good nutritional value that will give him the energy to get through a busy evening. 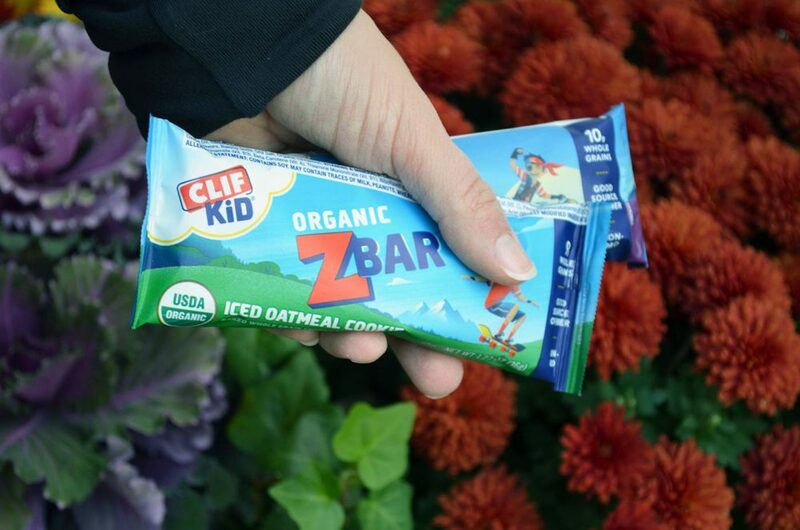 We’ve recently been snacking on these CLIF Kid Zbars® and they’re a huge hit all around. 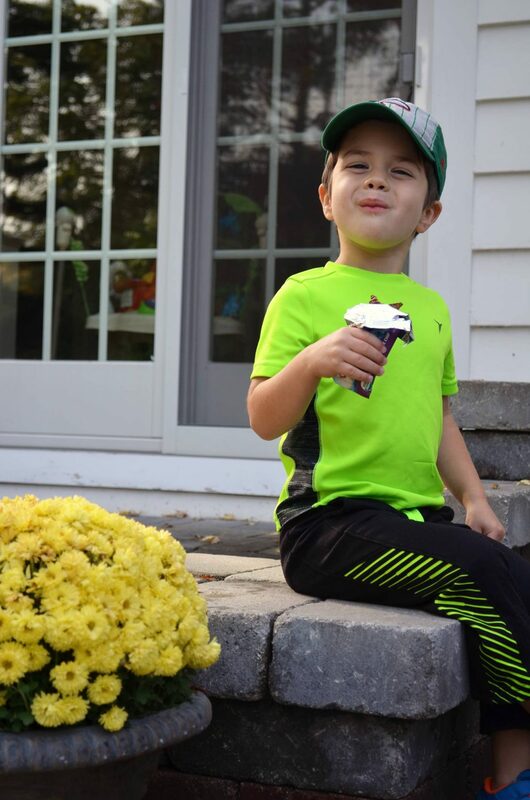 Jackson likes CLIF Kid Zbars® because they taste really good (and they do, I have to admit I’ve stolen a few of them when he’s at school!). I like that they are a perfect portion size for kids and they’re made with organic ingredients and kids’ nutritional needs in mind. Also, they’re really easy to keep in my diaper bag and have on hand when we’re on the go. One of the big things we’ve tried to do is also plan in time to play before we get into dinner time, bath time and homework. 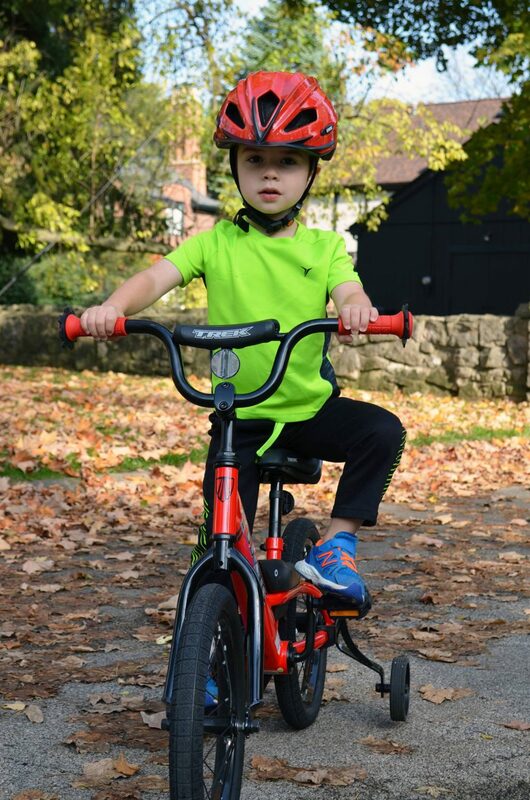 Our favorite way to do this is by getting everyone outside and taking a family walk and bike ride around the neighborhood or sitting out on the back patio and playing with our outdoor toys. It not only gives us time together to talk about our day, but we get to share stories and talk about what’s happening around us. Lately there’s been lots of talk about pumpkins and the leaves changing, and clearly soon that’s going to turn to snow. I’m hoping that this winter won’t be quite as chilly as last so that we can get some outside time in for snowman making and such, but we’ve got a back up plan. As you may have seen, turning part of our basement into a playroom was one of our big house projects this year and it’s one of our favorite places of play. When winter arrives, we plan to transition our evening playtime to the playroom. Lately this space has been a super hero headquarters, train station and art center, and who knows where Jackson’s imagination will take us next. But we love spending time playing together, it’s our favorite time of the day! 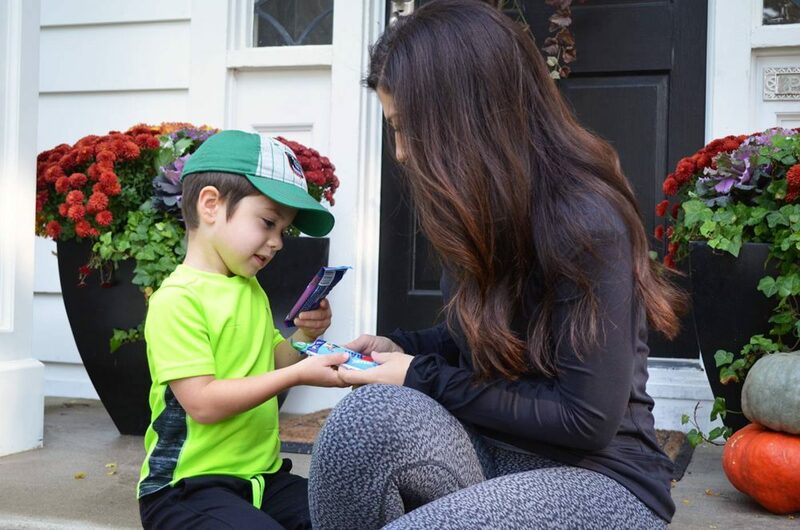 Check out this cute video and see how CLIF Kid is encouraging you and your kids to come out and play! Oh he is just so cute! These pictures are great. Thanks for sharing!!! We love Clif Bars!!! They are a lifesaver for my 5 yr old! And me haha! You two are adorable. Loved the post! What a cute post! I love Cliff bars, I’m sure the kid ones are great! Really love this company, thanks for sharing. Great routines you’re instilling in your child. Clif bars are the best on the run!! He is just the cutest!! I love Clif bars! I didn’t know they made them for kids, but what a wonderful idea!! 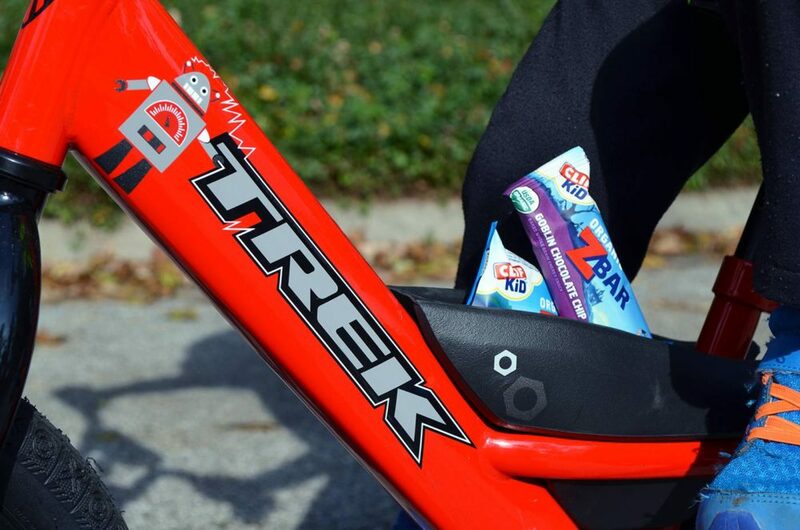 He’s super cute and what a great choice – Cliff bars are yummy! I had no idea Clif made kids bars! Clif is great for me as an adult and I’m sure its great for kids! A yummy and healthy snack for kids. Love it!